In the preview for the next Dragon Ball Super episode, we can see Mr. Satan turning into a Super Saiyan. Wait. What? The episode’s teaser is blink-and-you’ll-miss-it short. We don’t have much more to go on that a few frames of animation (via 2ch). 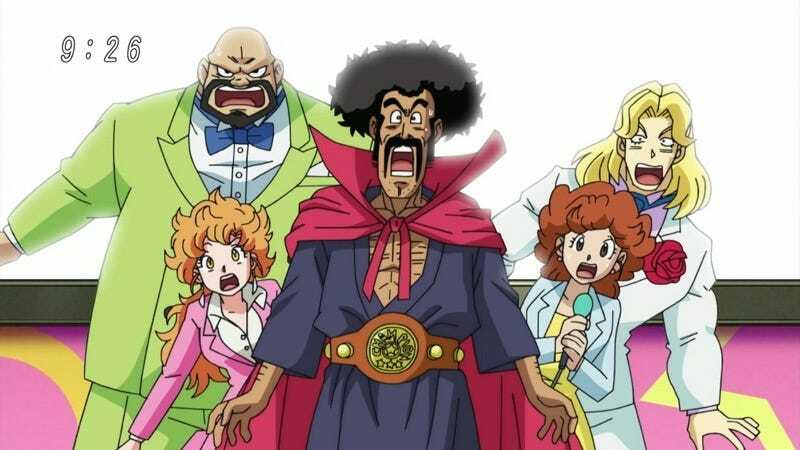 But the teaser seems to clearly show Mr. Satan (aka Hercule) in Super Saiyan form. Does this mean that Mr. Satan actually becomes a Super Saiyan? This theory seems to think so, while this one does not. It could be, you know, a dream or something. Even if Mr. Satan doesn’t really turn into a Super Saiyan in the next episode, there’s some good that comes of all of this: That golden moustache.